The National Weather Service has predicted that the Pacific Northwest may see gale force winds and 4 inches of rain when the remnants of Typhoon Songda hits the coast Thursday afternoon through the weekend. We might expect urban flooding, high winds power failures and falling tree limbs. Create an emergency preparedness kit with at least a three-day supply of non-perishable food and water for your home and office. Kits prepared for vehicle road travel and winter weather evacuation go-kits are also advised. Don’t forget to have food/water for your pets! Make a plan with your family and those who depend on you. Stay informed and know the weather approaching so you are prepared for whatever Mother Nature throws our way. Art U p, Chow Down: Phinneywood Art Walk The Big One – Two Day event May 13th & 14th. Windermere Greenwood will be hosting 3 great artists: Fritz Rud, Deana Albers Lloyd & Heather Saddler. 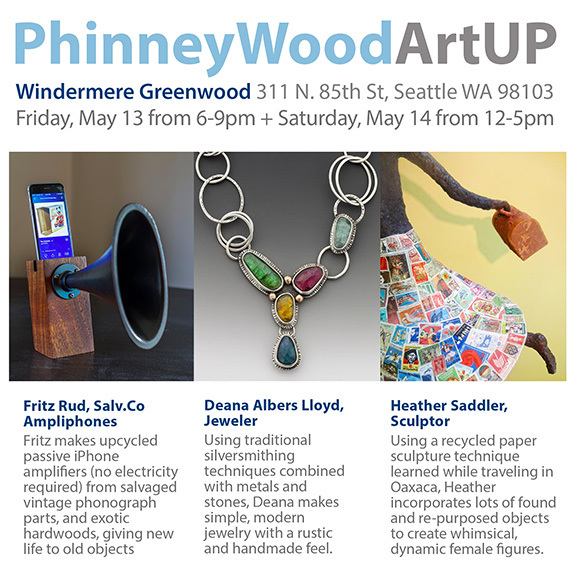 Please join Windermere Greenwood next next Friday, May 13 from 6-9pm and Saturday, May 14 from noon-5pm at our neighborhood art walk – PhinneyWood ArtUp – and see some fantastic artists represented at our office. We’ll be serving wine, snacks and a whole lot of really cool art. Click here more info about the art walk. Click here for a map of all participating venues. In response to the explosion at 85th and Greenwood, The PNA and its business members are creating an action plan to provide relief to the area. We are grateful to be part of a community that quickly steps up to help. We’ll update you as we go along. Windermere Greenwood and our real estate Brokers were shocked to learn in the early morning hours of March 9th 2016, Three of our neighboring businesses were entirely leveled by a natural gas explosion. Mr. Gyros, Neptune Coffee and QuickStop Mini-Market were completely destroyed. Dozens of other businesses and apartments had windows and doors shattered and additional damage. Our office, luckily, had only minor damage with a few broken lights and shattered picture frames. Our hearts go out to our neighboring businesses affected by this devastating accident. We will be supporting the Phinney Neighborhood Association relief efforts by donating funds individually and as a PNA member business. Join Us for a FREE Family Event! Windermere Greenwood will be hosting a nautical themed photo booth! 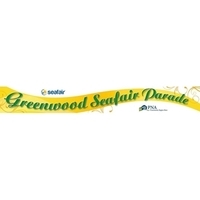 A Greenwood summertime tradition, the annual Greenwood Seafair Parade presented by Fred Meyer is the oldest neighborhood Seafair parade in the region. Thousands of people line the route to watch the over 100 entrants that include bands, drill teams, floats, pirates and more. This year’s theme is “Don’t Rain on My Parade” with Grand Marshal M.J.McDermott, an Emmy-Award-winning writer, actor, broadcaster and meteorologist. Today is our annual Community Service Day! This year, our dedicated Windermere Greenwood real estate brokers volunteered to paint fun and games for the preschool playground at Viewlands Elementary School. From simple chalk outlines, the lifecycle of a frog from eggs to tadpole, froglet to full grown frogs leaping across lilly pads came to life. A habitat mural along the back wall with ABC’s and 123’s plus every kid’s favorite – hopscotch games in full fun colors are ready for the preschoolers to enjoy! Every year Windermere closes its offices for one day to help make a positive difference in our local communities. It all started in 1984 when a handful of Windermere owners and agents came together to make repairs at a local elementary school. Thirty years and more than one million hours of community service later, we’ve continued this tradition through neighborhood-enhancing projects in the areas where our Windermere teams live, work, and play. Follow our projects online at www.facebook.com/WindermereRealEstate.